Streetcar offers self-service cars and vans for rent by the hour, day, week or month. The vehicles are parked in a dense network of dedicated spaces in several UK cities and can be booked for as little as 30 minutes or as long as 6 months. 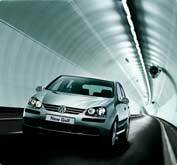 Our fleet of brand new Volkswagen Golfs, Polo BlueMotions and Transporter vans can be reserved online or by phone, and can be collected and returned 24/7 using one of our high-tech smartcards and a PIN number. The cost of your usage is based on how long you have the car, and how far you drive. Payment is simply taken 24 hours after your booking ends. Slick, smooth, superb - I've been debating buying a car for a while. Living in central London it seems a waste of cash and space to own a car. But there are times when we want to head out to the countryside for a few hours or pop down to the garden centre for a few bags of compost, which is a bit tricky to get home on the bus. So when a couple of friends told me about Streetcar it sounded like the perfect solution. You can hire cars from 30 min slots upwards. The 24 hour rate is expensive but when you factor in the fuel which is included I think its only slightly more than regular car hire, but much more convenient. There are locations all around, we've got 3 cars two streets from us. So no more treking to the closest car hire place, and racing to get the car back before the hire company closes. With Streetcar there is total flexibility. Have you got a spare minute to add a review of Streetcar, London? Share your experiences and help build a directory of the best Car & Van Hire in London by adding a Streetcar London review. Is Streetcar London your business? Claim it now. Business owners who claim a business can easily add new tags, photos and update their listing.